Despite being only about an hour and a half into LA Noire, boy has the game got me thinkin’ about a million things already. So here’s my gift to you guys: a bunch of disjointed, but hopefully interesting, thoughts! I am impressed at the difficulty of interrogation and clue finding. I was initially worried that lines of inquiry would be too obvious–whether by interrogation or by finding clues–but this hasn’t been the case at all. Things aren’t always what they appear. In fact, I’m messing up interrogations or missing clues more often than I anticipated. That’s not a fault; I actually appreciate being able to be wrong and to mess up and having to deal with the consequences of thinking through the case shoddily. I am not, however, impressed with the facial animations. It has nothing to do with their quality (though having such intricacy and depth attached to expressions seems misplaced relative to the quality of the rest of the model), but rather how forced it all is. People overact, are way too obvious; even the worst liars I’ve ever met are not as terrible as some of the people in this game. I’m not sure if that’s because this quality demands that we judge the acting, or if that’s because Team Bondi didn’t want to make reading people too difficult (or both!). 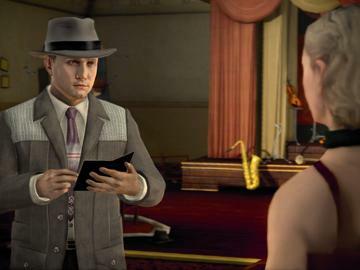 The thing is…reading in real life people IS difficult, and thus what LA Noire offers thus far is somewhat of a misrepresentation. Requiring us to engage in more inference when reading people–looking at the possible motivation, the evidence and using some good ‘ol intuition–would have been more rewarding despite the possible difficulty hike, though. Is there really no other way to tell me Cole Phelp’s backstory than to interject a cinematic like every 5 minutes? I mean, it’s all engaging and well written but you already have the modular structure of the cases–each one literally segmented by having a title before playing it–that interjecting “the past” on top of that feels a little jarring. Like watching an episode inside an episode of a show, and inside THAT episode is a showcase of segments of an earlier episode that was never aired. The action–chases, anything involving the car or shooting–seem like too much of a stark contrast to the slow, methodical structure investigation. 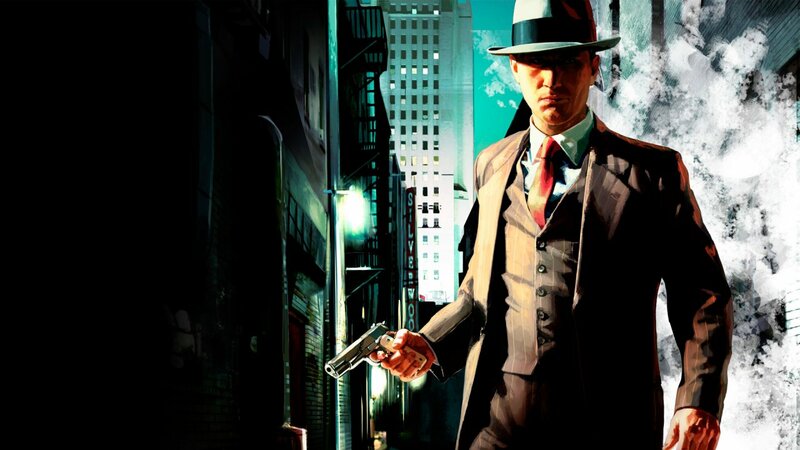 It’s almost like those segments are only there to appease players who would find the investigation monotonous and boring, and I say this not because I can’t appreciate the action conceptually (you’re a cop and, the hard-boiled ideology has a propensity for violence) but because of how simplistic the action seems in execution. Y’see, Team Bondi believes that making realistic human faces is a prerequisite for creating a complex investigative game. “We wanted to make a detective game,” McNamara, founder of Team Bondi, told OPM. “And a key part of that is interrogating people. If you’re going to see if somebody is lying, you have to be able to look for little poker tells, all that stuff.” p-p-p-poker face? Hmm, I don’t know–there’s something oddly perfect about the skin of the models, isn’t there? Actually, there’s something oddly perfect about the models in general–the everything has the same perfect, smooth texture. The expressions seem spot on, though. And while it’s true you had to suspend your disbelief in Heavy Rain, it was still succesful depicting humans with a character like Scott Shelby, who looked insanely real. I’m just not seeing it.